Hangsen Prepares for the Release of 1st Hybrid Pod System I.Q "3 S.E.C.S"
CITY OF INDUSTRY, Calif., Feb. 14, 2018 /PRNewswire/ -- Hangsen Brand is preparing for the release of their 3rd installment of the I.Q pod system device, the "3 S.E.C.S"; 3rd Generation "Specialized E-Cig System". World-renown manufacturer, Hangsen, has created an innovative product soon to be known as the I.Q "3 S.E.C.S". Set for global release in March 2018, this offering of the I.Q is primed to change the impression of what a "Pod System" is. At ECC this past weekend, Hangsen's Brand Ambassador, Trayvon, said, "With the I.Q '3 S.E.C.S', we look to take the pod system to the next level. 'I.Q' stands for 'Innovation & Quality' and that's something we push here at I.Q. Look for the '3 S.E.C.S' to push that narrative." The "3 S.E.C.S" is packed with loads of new features that will change the way users see a typical pod system. First of all is the form factor. The rounded rectangular shape is made to fit comfortably in hand while the pod was created to be detached from the base and re-filled from the bottom. Another plus for the device is its "Hybrid System". Besides the Refillable Pod, there will be an adapter available to insert closed pods as well, making the "3 S.E.C.S" the first of its kind. 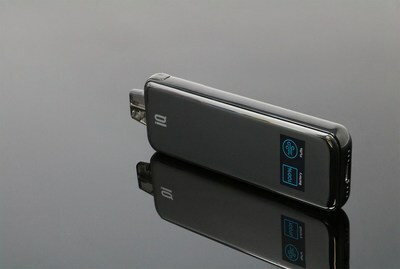 Regarding what makes this device different from other pod systems on the market, Brand Director for I.Q, Alex Ceballos simply explained, "We pride ourselves on the innovation and quality of our products, and we seek to have not only representative vape products, but also products that lead an active lifestyle." "Higher quality…more innovation," Owen Guo, Marketing & Global Sales Director, added, "We want to be different in every aspect." The "3 S.E.C.S" is coming out strong with features like Touch Sensor intuitiveness, which displays the battery life and puff indicator with one tap on the base of the device. 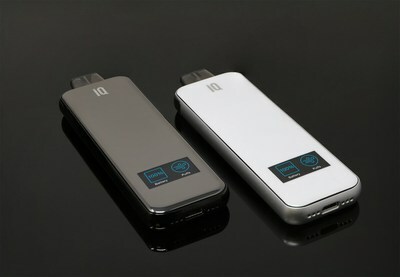 In addition to that, the U.I design is of high quality powered by a 400mAh battery. Activated simply by draw, the screen display shows up as soon as the user vapes. The pod itself comes with 2ml juice capacity and has magnetic posts to keep it in place upon insertion. The I.Q team is fresh off exhibiting at ECC where they received plenty of positive feedback. In the near future, I.Q team is interested in seeing where this innovative product is headed. SOURCE Hangsen International Group Ltd.